Andrew graduated from Sydney University in 2007. Early in his career Andrew gained great experience and exposure to many conditions via working within both the private practice and hospital sectors. This broad exposure has enabled Andrew to become a holistic physiotherapist with excellent knowledge of the human body and the many diverse conditions a patient may present with. Early in his career Andrew identified there was a lack of accessibility to physiotherapy services for those requiring treatment in the comfort of their home. Andrew continued to work hard and perfect his craft prior to establishing Sydney Mobile Physio in 2012. Our service has continued to expand throughout the North West region of Sydney and Andrew takes great pride in having a team of expert and caring physiotherapists to provide a high quality, convenient service at an affordable price. Andrew’s vast experience has enabled him to enjoy treating a variety of conditions from sports injuries; spinal pain; geriatric falls prevention, strength and balance programs; headaches and migraines; disability care; musculoskeletal injuries; vertigo associated with BPPV; pre and post-operative rehabilitation; neurological and respiratory conditions. Andrew has specific interests in golfing injuries and improving performance, along with treating those suffering from headaches and migraines. Andrew has been the treating physiotherapist for; Wentworthville A Grade Rugby League, Penrith District Netball and the World-Wide Acrobatic Circus Performers from Empire by Spiegelworld whilst performing in Sydney. Andrew holds the strong opinion that although as health professionals we have the desire to know everything pertaining to the human body, its marvel will ensure we will forever continue to discover new things. It is this desire for new knowledge and the comfort felt from helping those in need that drives Andrew to be the caring and professional physiotherapist he is today. 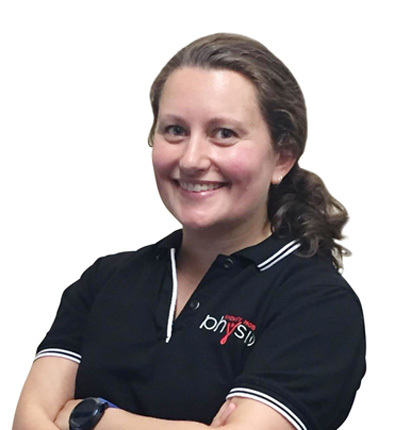 Since Graduating from Sydney University in 2011, Mitchell has worked as a private practice physiotherapist in the North West region of Sydney. Mitchell has developed his skills in treating a variety of conditions including sports, spinal, orthopaedic (pre and post operative care), headaches and workplace / ergonomic injuries. Mitchell has also spent time providing more specialised treatment in the areas of incontinence post radical prostatectomy and vertigo associated with BPPV. Mitchell has a keen interest in shoulder and ankle injuries and the biomechanical analysis of swimming and gait patterns. Mitchell has provided physiotherapy services for a number of sporting organisations including the Carlile Circle of Swimming Clubs at State and National Level, Penrith District Netball, Nepean Football Club, Southern District Rugby and Penrith Zone Athletics. Mitchell has competed in swimming at a National Level and this has led to a keen interest in the assessment, treatment and screenings of swimmers. 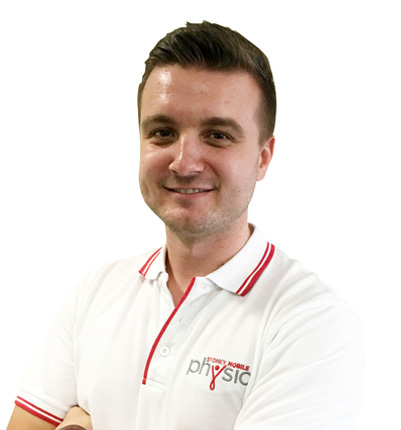 Mitchell is passionate about providing the best evidence based treatment for his patients and strives to continue to develop as a well-rounded, sympathetic and enthusiastic physiotherapist. Stephen Graduated from the University of Sydney in 2012 with a Bachelor of Health Science, later completing a Master of Physiotherapy in 2014. Stephen has developed sound skills in managing a variety of conditions including spinal, orthopaedic, shoulder, sports, headaches and workplace/ergonomic injuries. Stephen has a keen interest in acute musculoskeletal injuries, moving individuals from initial assessment through the stages of rehabilitation and aiding return to sport. Stephen also takes a particular interest in the knee and ankle, utilising evidence based treatments and recognising the importance of manual therapy in each individuals recovery. Stephen has also been the treating physiotherapist for; Penrith Panthers Harold Matthews/SG Ball, Emu Plains A grade Rugby League, Hawkesbury Valley Rugby Club, Netball State Age Championships. Stephen is passionate about providing the latest evidence based treatment techniques, using his sound clinical and manual therapy skills to assist with each individual’s recovery process. Away from the clinic Stephen enjoys working on classic motor vehicles and playing Oztag. Hayley received her physiotherapy training in London, graduating in 2009. Working in both London and Australia, Hayley has gained experience in a wide range of areas including musculoskeletal and workplace injuries, spinal and chronic pain, orthopaedics, neurological rehabilitation, geriatric care and falls prevention, along with respiratory conditions. Hayley has been teaching Pilates since 2014 and found this passion after witnessing the significant positive impacts for her clients with a range of conditions. It has helped her clients in the restoration of functional movement patterns and posture correction in order to return to doing the things they love to do. Hayley is a determined physiotherapist who likes to help people understand the cause of a problem in order to help prevent recurrence, rather than merely relieving current symptoms. This way they are able to achieve higher functional outcomes with the knowledge and confidence to best manage their condition. Aside from being a physiotherapist Hayley has been known to be hanging out upside down with her new hobby of anti-gravity suspended Yoga and Pilates, as well as swimming and various dance classes when she finds the time.